The Raptor is an extremely spacious 5 place, pressurized, composite aircraft with a 62" wide cabin with a possible top speed of 300 knots that can cruise at 230 knots true on 7 gph of Diesel or Jet-A. 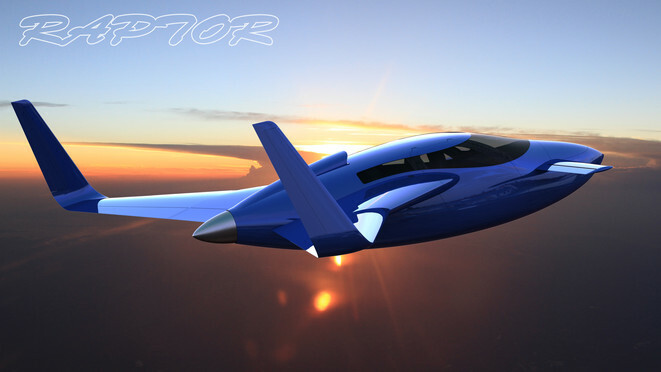 It will come equipped with an optional BRS airframe parachute, constant speed propeller and anti-lock brakes. It's a luxury SUV for the sky. On the right are two links to a podcast that was recorded back in 2014. If you'd like to listen offline they are also available on iTunes. We are offering a completed Raptor 'At Cost' and will eventually Open Source the whole program so universities and businesses will be able to have access to the design and make improvements and modifications in the same way that open source works in the software world. We will be opening the parts and airframe construction, support and flight training so companies world-wide can compete for your business thereby keeping availability high and prices low. This will also ensure that there is no single point of failure for parts, airframes or support. This distributed model will eliminate any chance of the Raptor not having support. Much like the internet, the open and distributed nature makes it virtually impossible to destroy. The competition will have a difficult time trying to stop us. But the 'At Cost' Raptor is the game changer. The bottom line is that we will be providing a finished Raptor initially for somewhere close to $130K with a goal to get that number as low as possible. If you can buy a BMW 7 series for under $80K then we think you should be able to purchase a similarly equipped plane at that price. We intend to make it possible. In order to do this we require as many deposits as possible in order to obtain the lowest possible wholesale pricing from all the vendors. We will then be passing on those savings to you with very little mark up. The Raptor will still come with a full Garmin suite, MT propellor, Diesel engine and all the good stuff we have picked out. It will fly circles around a Cirrus for literally a fraction of the price. Take a look at the Ordering page for a list of components. Obviously this is the deal of the century. Why are we doing this? Well, we think that it's time to provide an aircraft that will be the catalyst for solving the shrinking pilot population. 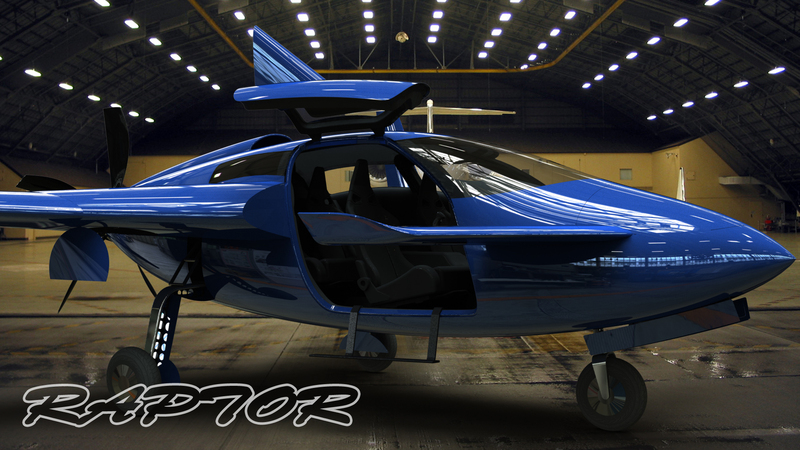 Not only will the Raptor be the best value for money but it will also cost a fraction to operate when compared with existing designs of this size. If you're just cruising around at 140 knots it will cost about $20/hour. At 230 knots at FL250 it will still be about $35/hour. For those without a pilot's license we will be offering training in your new aircraft. Given that you will only be paying for the instructor and fuel, your license will cost only about $3500. Again, this is less that half of what it would cost at a flight school renting an old Cessna. If you want to help us change the world by making flying fun and affordable then get behind the Raptor and spread the word. Cheers, Peter. 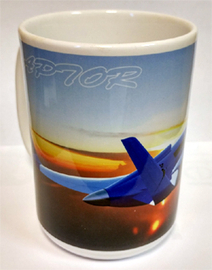 Looking for a mug for your favorite drink? All composite carbon fiber design. All of these images are clickable so you can use them as Desktop wallpaper.